After they pack pencil cases and cover new books, local parents wave goodbye to their children and say hello to another school year. Dusting their hands off, it seems preparation is done, but are parents ever really ‘back to school ready’? Jack Goodman from YourTutor said a whopping 88 per cent of Australian parents struggle to help their high school children with their homework. “It’s a source for a lot of stress, anxiety and arguments, and it’s really important for parents to find a way to be supportive,” he said. Mr Goodman said one great way to get help when parents can’t assist is to access free professional online tutoring through Penrith City Library. “Penrith Library subscribes to YourTutor that connect students for free, all you need is a Penrith City Library card,” he said. The struggle for primary school students is that according to a recent study commissioned by BIC Australia, only half of them are practicing handwriting at home on a daily basis. Werrington County Public School Principal, Tracie Duclos, said encouraging neat handwriting through a ‘pen licence’ program gets kids practicing proper hand grip and clearer letters. “Children need to write greater volumes when they get to high school and for assessments and if we don’t develop good writing styles when they’re young, they will get a sore hand. Children are sitting there shaking their hand after writing half a page,” she said. 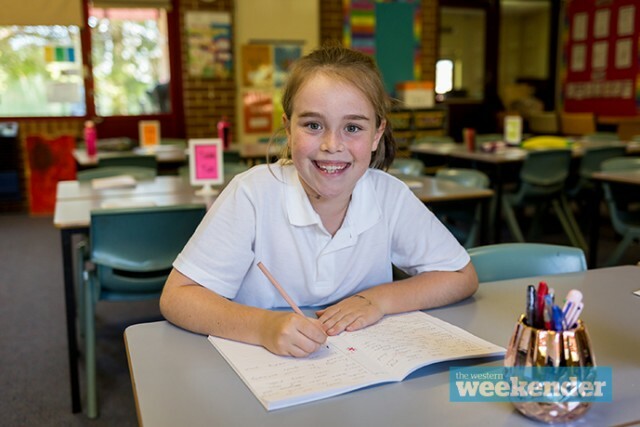 BIC Australia ambassador, Louise Park, said handwriting improves the muscle memory, fine motor skills and self-confidence of students in and out of the classroom. “Handwriting is a critical piece in the literacy and learning puzzle, because when a child writes by hand, memory recall and word and letter recall are proven to be much stronger,” she said. Ms Park encouraged parents to think of fun and new ways to get kids writing at home, like writing highlights from their weekend, or writing letters to family. For more help, visit BIC’s website at www.bicbrightfutures.com or YourTutor at www.yourtutor.com.au.